Where technology and employment meet. 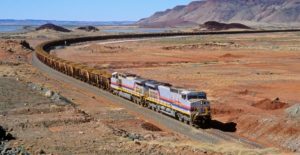 Earlier this month Rio Tinto delivered iron ore using the world’s first ever long distance, heavy haul driverless train. Yet, it came with a warning that as technology advances, the company will be directly competing with the likes of tech giants Apple and Google for Australia’s shrinking pool of tech workers. Rio Tinto are now targeting data scientists as a key component of their workforce. Mining, Oil & Gas, Recruitment Specialist and General Manager of Trades and Labour at Scotford Fennessy, Andrew Sanders spoke with Chris about the future of Rio Tinto and whether 66% of the company’s new recruits will be data scientists in five years.